The holidays are a busy time, and for me the key to getting everything done is to plan ahead. 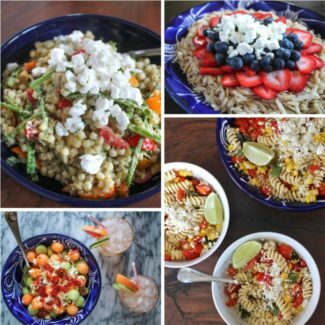 I have been hitting the kitchen on Sundays and preparing a couple of things that we can bring to work for lunch, or have for dinner on a evening when I don’t have time to cook. 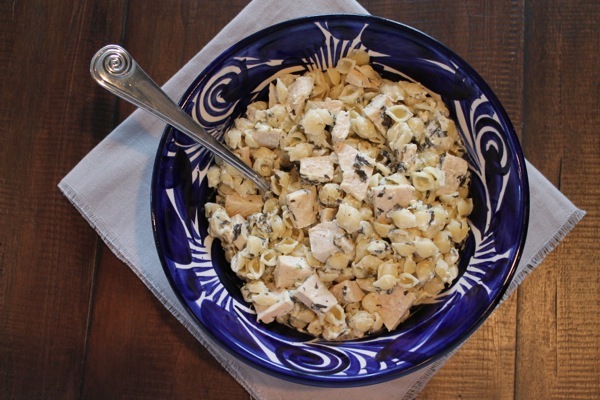 This Spinach Parmesan Pasta Salad with Chicken has been a big hit. It was super simple to prepare, I just combined lemon chicken, cooked pasta, and La Terra Fina‘s Greek Yogurt Spinach Parmesan Dip. 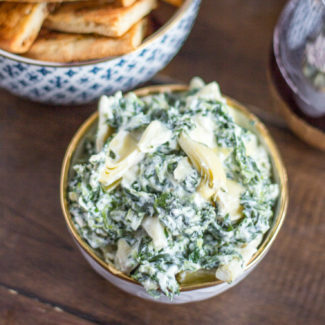 La Terra Fina makes spinach and artichoke dips that taste homemade. 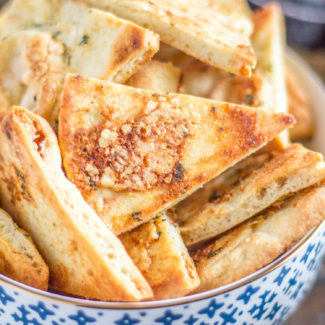 I recently served their Chunky Spinach, Artichoke, and Parmesan Dip at my Christmas Cookie Party and my friends were asking me for the recipe. It’s seriously that good. 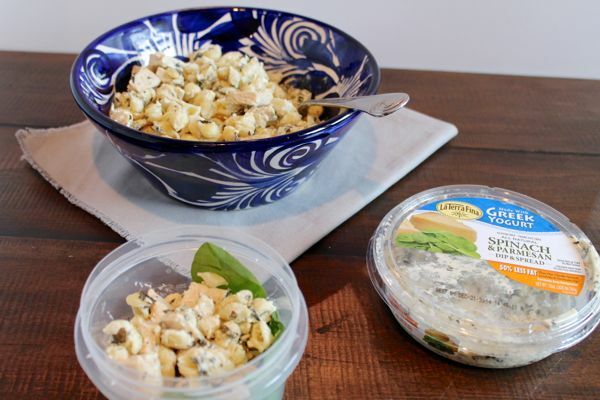 I used the Greek Yogurt Spinach and Parmesan Dip for my pasta salad since it has 50% less fat but still has a rich and creamy taste. I think that anything you can do to save yourself time and calories during the holidays is a win. If you want to keep things really simple, you could buy a rotisserie chicken and use that instead of the lemon chicken. 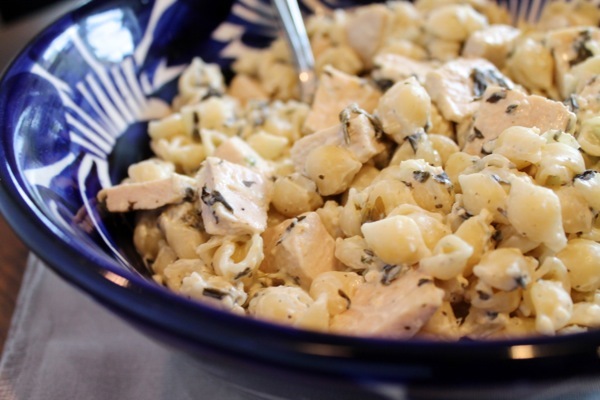 This pasta salad is an easy and crowd pleasing recipe, and the best part is that it is low fat! 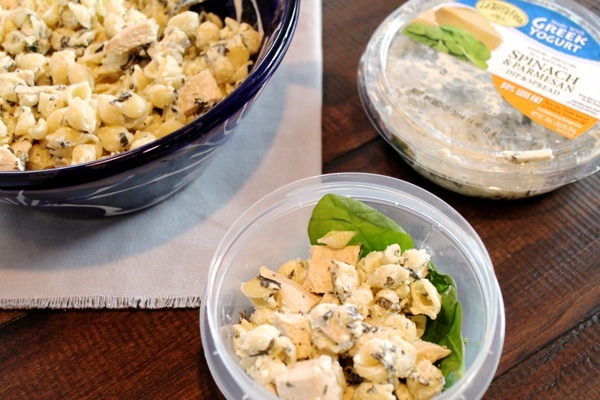 This pasta salad can be served hot or cold. I usually warm it up, but Charles steals bites straight from the container. 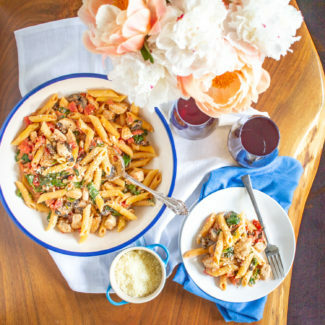 For lunch, the pasta salad is great over spinach. Bring a pot of water to a bowl. Add the mini shells, and cook according to the directions on the box. Melt the butter over medium heat in a large skillet. Sprinkle the chicken with salt and pepper. Then place the chicken in the skillet. Pour the lemon juice and white wine. 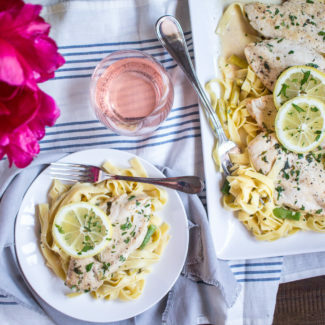 You want the white wine to almost submerge the chicken, add more wine if you need to. Once you can see that the chicken is almost cooked through, flip it over. The first side will take about 5 minutes to cook. Once flipped the second side will cook in about 4 minutes. Chop the chicken into bite sized pieces. If you want to serve this pasta warm, heat the spinach and parmesan dip until warm. 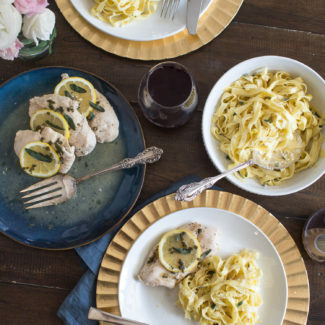 In a large bowl, combine the lemon chicken, pasta, and La Terra Fina Spinach Parmesan Dip & Spread. Stir until everything is evenly distributed. Serve warm or cold. This post was sponsored by La Terra Fina, but the opinions expressed are my own.